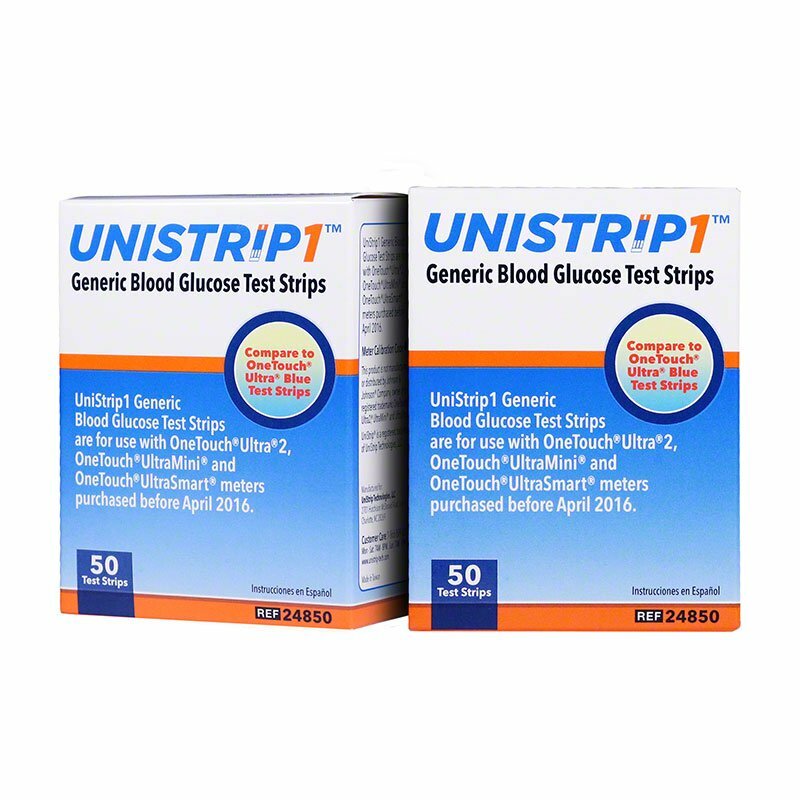 UniStrip1 Generic Test Strips are designed to work with the OneTouch Ultra, OneTouch Ultra 2, OneTouch UltraSmart, and OneTouch UltraMini blood glucose meters. UniStrip test strips are FDA approved for use with these meters and can be used for alternate site testing of fresh, capillary whole blood samples from the fingertips, forearms, and palms. These test strips are an excellent option for customers paying for test strips out of pocket or that have high deductibles. This product you will get 600 UniStrip1 blood glucose test strips. At first I was skeptical about whether or not these strips would work in my One touch ultra meter, but I ordered them and was surprised that they work very well and are quite accurate. Being on Medicare and they allow for 1 test strip a day and I normally use at least six strips a day you can imagine how frustrating this was until I checked out your site and found this product. I'm grateful that all were coded to the same number. Service was prompt. Many thanks.